Hello everyone, we made it through Monday so only four more days to go until the weekend! Ha ha! Seriously though, let's get a little inspiration going today, because the gray and cold weather has set in over here and it's getting dark at 4:30 pm, so I could really use some interior inspo! As I was flipping through the Bloomingville catalog today looking for gifts, I thought about how many cozy ideas I kept spotting through their product styling. How about we look at 9 examples together of cozy winter decorating ideas as I take you through some nice ideas? Ready? 1 // If you have the space, place a cozy chair next to a window because trust me, you need all the natural light you can get when winter sets in. Push the curtains open (or skip curtains if you don't need them and opt for privacy shades for the evening), make some tea and read a good book near the winter. Add a sheepskin throw to warm up your feet. Doesn't this scene already make you feel the hygge charm? 2 // You don't need to go overboard with decorating your home during the winter months. 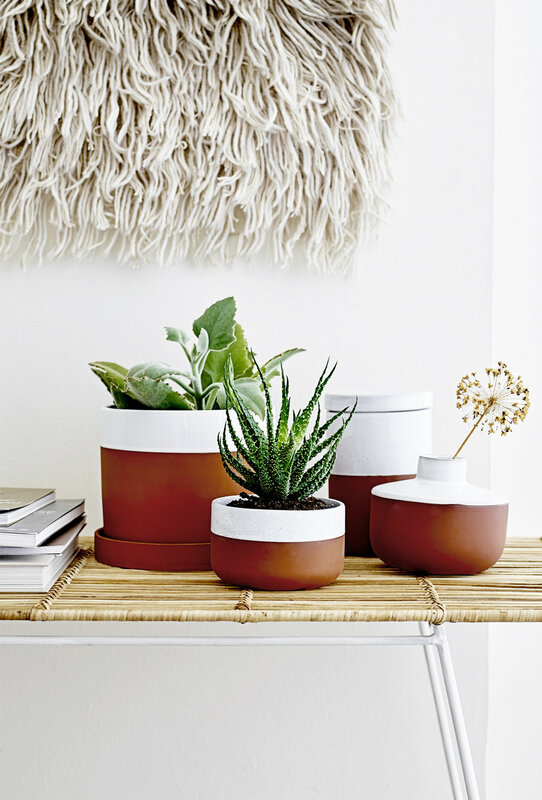 A simple plant in a pot in a warm tone can instantly make a space feel more cozy. Stacks of books are always nice too. 3 // Throws and pillows. Always. And mix the materials - velvet, faux fur, wool, etc. If you live in Florida or Barcelona, it may be winter but certainly not as cold as it can be for those of us living up towards Scandinavia. This photo represents a nice way to have a cozy winter touch at home even if you're not expecting cold weather. 4 // Warm yellows and golds, wood and natural materials. In spaces that are very white and bright, you can mix in warm tones to change the vibe from clinical to cozy with just a few elements. It's really so easy to add warmth - you don't need to paint the walls in dark tones or go crazy with typical winter tints and tones. Just mix in some warm tones and natural materials. Easy! 5 // With the Urban Jungle Blogger movement in full swing, you can't help but see plants in every interiors shop. 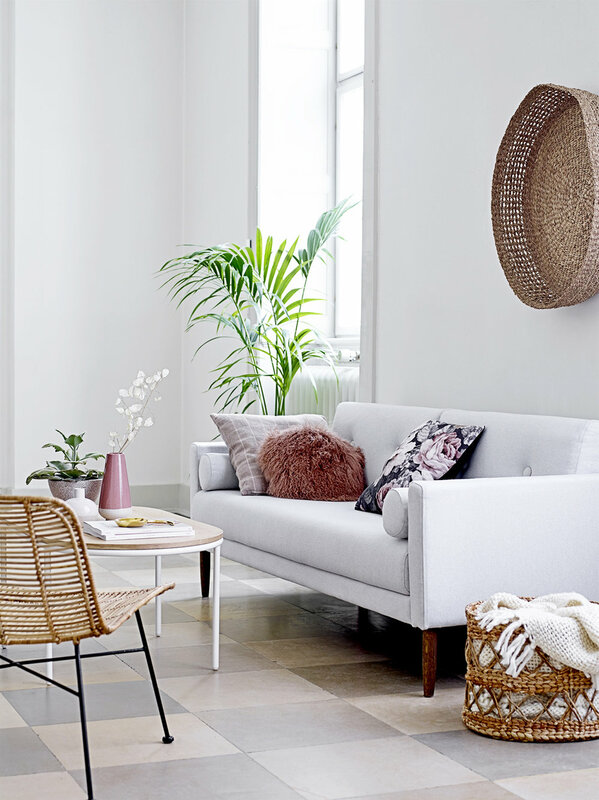 Luckily, plants are not only affordable, healthy, and beautiful interiors "accessories" but they can be housed in a myriad of gorgeous vessels to create an inspiring and cozy vignette. For a cozy winter-y look, go with terra cotta, pottery in festive or moody colors, or opt for brushed metals in copper or brass. 6 // I love the boho vibe for home but am not a fan of tons of "stuff" so this is my version of a well-edited nook for eating and relaxing at home with just enough to feel cozy without looking like a tornado hit. I'm not a minimalist and certainly not a maximalist, I like a little bit of a balance between both. For a cozy winter home with a boho vibe, add a wall hanging (a rug in this case) or macrame, and something else handmade, like a chunky knit throw or in this case, a rug. 7 // Candles and a mix of materials are always cozy together because they appear so random and casual. 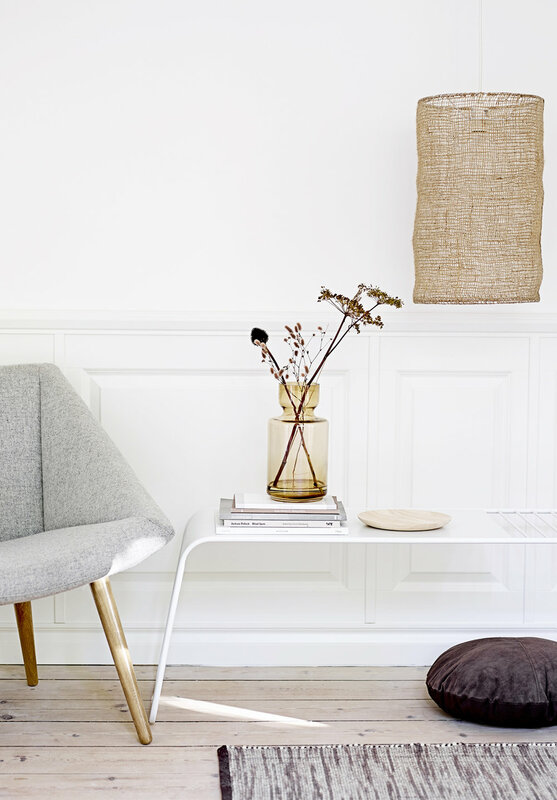 When things aren't fussy and match-y match-y, a home feels more cozy. I love the flicker of candles too - nothing feels more lovely in the winter months to me than candles glowing in the afternoon and evening at home. 8 // I really like using windowsills to display things, particularly plants or pretty glassware with flowers. I like this assortment because the colors are a mix of cool and warm, so you can use your summer glassware with more winter toned vases and metals to give a winter wonderland vibe. I don't think you need to swap everything out to create a seasonally appealing home, it's all about combinations that work and getting the colors right. 9 // I couldn't love this more! Sure, it's not so "winter-y" looking but you could mix in some pine and a small potted fir tree decorated with a few ceramic ornaments and you'd certainly have a pretty winter display! I like the various table heights and find this to be a more impressive display for plants - it feels cozy with the wall hangings too, don't you think? What are some of your "cozy tips" for winter?